The Newest Rant: My Thoughts on the Game "Destiny"
This isn't a review of "Destiny" even though I will give a "score" in a sense of rating how much fun I had during my playing-time. I say that because while over the past week I played the game a great deal as a rental from Redbox on my PS3, I didn't get far enough to feel I experienced everything. Don't get me wrong, I did a lot; I went to every story-mission planet in the game except Mars (which is towards the end) and played a variety of matches in the, "Crucible," where people can fight other players. 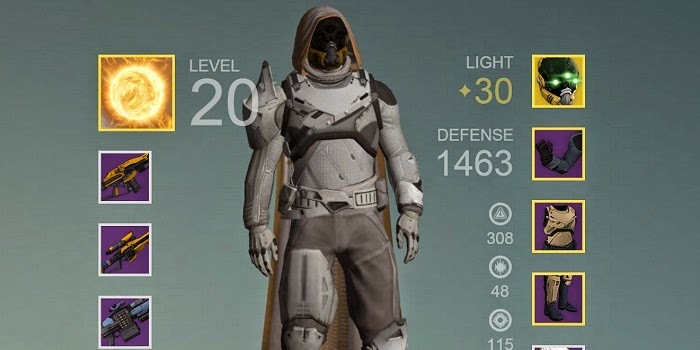 All that said, I didn't hit the technically highest level of 20, and have only played as the "Hunter" class. Therefore, I don't think I can truly "review" Destiny, but I can offer my thoughts on it, as many have been doing lately. 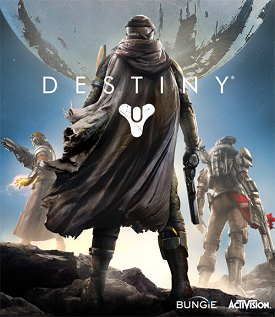 "Destiny" is a first-person shooter with a bunch of RPG elements, and it is online. It's quite the mish-mash of genres and to the credit of developer Bungie it mostly works well. That is the basic way to define the game, but what is "Destiny" in a broader sense? To answer that I would say that "Destiny" is fun, good-looking, and encourages socialization. "Destiny" is also at times dull, repetitive, and very lonely. While I would often love looking at the beautiful rusting buildings and barren lands on various planets, I would get tired of seeing the exact ones for mission-after-mission as I kept going into the same buildings to shoot the same enemies. I would get a thrill from scoring a perfect head-shot on an alien, or using my throwing-knife against a robotic "Vex" and hearing a satisfying "thunk" as it slammed into them, but on the other hand I would grow tired of countless waves of the same-looking aliens or Vex appearing in front of me and doing little besides charging or occasionally moving sideways until I shot them. Plus, those times I was in areas where I would have to start over if I died got pretty annoying around the 3rd time I lost 20 minutes of progress because an enemy got off a lucky shot or two. That made me a little enraged. One big missed opportunity is the story. "Destiny" will at times have cut-scenes you can't skip where it gives off the impression that it is telling a grand space-opera of a story, when really the game is at best putting on airs. It opens promisingly enough with talk of a "Traveler" and a "Darkness" but soon melts away into nonsense, serving as little more than exposition to give you an excuse to go somewhere, shoot some stuff, scan an item, shoot more stuff, and get a last-second info-dump of useless story before getting kicked back out into orbit to decide on another mission. It's kind of sad really, because there is some great voice-talent on deck (Peter Dinklage serves as your "Ghost", a floating robot companion) but it all seems wasted on a story that appears as if it has a decent idea but does almost nothing useful with it. Clearly you aren't playing the game for the story then, but the adventures you can go on and the friends you can make. Therefore, you would think making friends is easy considering this is an online game, right? Well, you would be sort of correct. "Destiny" will at times facilitate you meeting other players and forming "Fireteams" which are basically the "Parties" of other online games. You and two other people can create one and go run missions together. It is fun to meet other people, but the game is very weird in that for regular missions it won't help match you with folk, instead making you do the work of making friends in the main-city of the game, or when you run into the occasional stranger out in the main game-world. This is bizarre as the game will at other times helpfully assign you a team should you choose to do a "Strike" mission, which is basically like the dungeons of fantasy games where you fight through some weaker foes before facing a super-powerful "boss" character. Why "Destiny" chooses to be helpful for Strikes yet otherwise leaves you hanging is a good metaphor for much of the game, because as "Destiny" gives it also can taketh away. What I mean by my previous statement is that "Destiny" can be really stingy with giving you good "Loot". As a lower level player I'll steadily level-up, but oftentimes find a small amount of items "drop" when I'm running missions that can result in my being level 15 but having level 10 gear--which doesn't sound too horrible until you think about how I'm facing enemies that are also level 15 and designed to fight players who are equipped for such an encounter. thanks to good item drops and a lot of playing. Apparently things only get worse once you hit level 20, because to level-up further you need "Rare" and "Legendary" gear, which contains "light" and makes you a greater level than 20. These items can be extremely hard to come by or earn enough in-game money to purchase. Hence, when doing a super-hard Strike doesn't even guarantee you any reward at all, I imagine that is frustrating. This has resulted in players doing things such as taking advantage of a bug that allows them to enjoy a, "Loot Cave," which sounds a little like cheating, but I can understand people going there when they have a choice between playing difficult missions for hours and getting nothing, or mindless shooting aliens at a cave for a bit and having a somewhat decent chance of getting some sweet gear. Although now as of today the loot cave is no more, so there goes that option. I mean, most online games guarantee you some kind of reward when you play the hard stuff, and while "Destiny" is working on getting better at doing such, it isn't quite there. 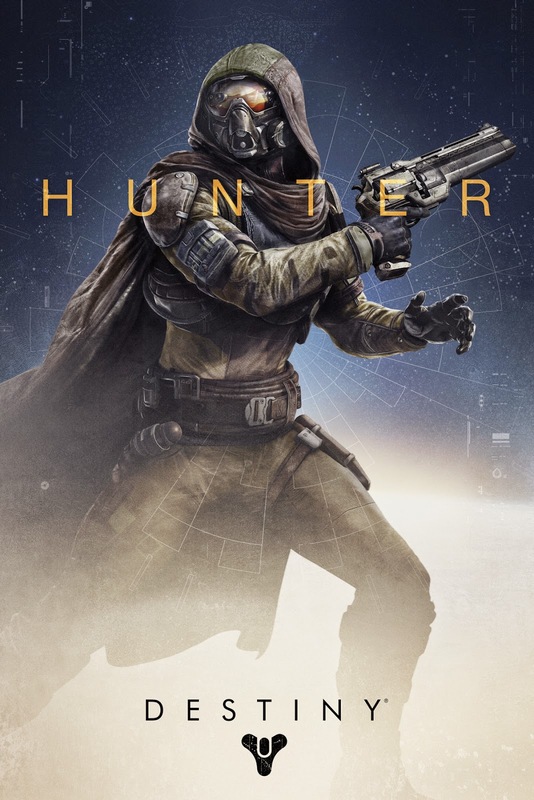 It is interesting to note how "Destiny" can be so tight-fisted with rewards, because as if the game would realize when I was about to quit in rage it would suddenly provide me with a kickin' pulse rifle, or a beautiful-looking and wonderfully stat-heavy helmet. Perhaps this mixture of anger and joy simply illustrates "Destiny" has a good grasp of a punishment-reward system, in that I am punished with repetitive missions and enemies but, "Thrown a bone," in the form of some awesome equipment just often enough to want to keep playing. That's the crux of it really, "Destiny" makes you mad and bores you, but then chooses sometimes to give you something really useful or show-off a gorgeous landscape and makes you want to keep playing to see what's next, even if it will be 3 hours of monotony before a blast of joy. "Destiny" is a game that is gorgeous even if you're playing on a PS3 as I did, but it also gets old traipsing around the same places countless times. 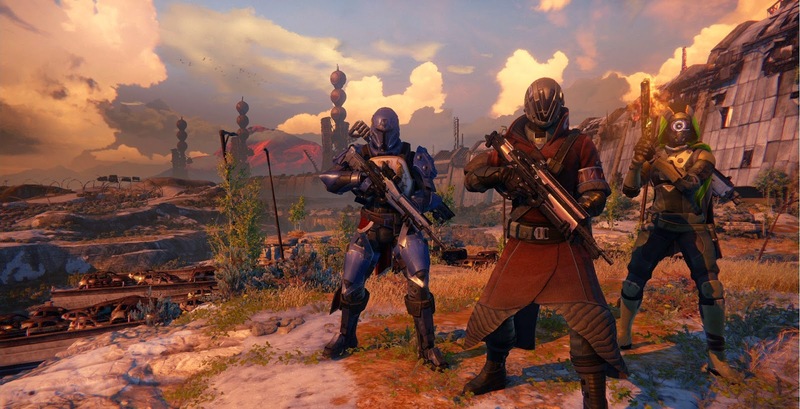 "Destiny" is a game that is fun with others, but will often have you by yourself. "Destiny" is a game that can feel rewarding but much of the time has you annoyed, and all of that sums up "Destiny" well. It is a game which you can describe as, "It's good, but..." because no matter what kind thing you have to say about the game, there usually is a caveat to follow-up with. All of that said, if you approach "Destiny" not expecting something utterly amazing as all the pre-game hype built it up to be and you go in knowing you'll need to be patient with all the boring stuff to enjoy the exciting parts, then you will have fun. Should you expect a constant stream of rewards, excitement, and new environs to explore every mission you'll find yourself cursing the game relentlessly. I truly did have a great deal of fun while renting "Destiny" and will probably buy it when the price drops or I make enough money to buy a PS4 and transfer my save over (a nice feature) as I am still an extremely poor AmeriCorps VISTA. I had avoided reading much about "Destiny" compared to many others who had gotten so excited for the game that nothing could have met their expectations; that is probably why I had the degree of fun I did, and why I would indeed recommend you check "Destiny" out if you want to have an interesting and enjoyable experience. Plus, Bungie has made it clear they plan to keep adding things to the game (some stuff for free and others costing money) so I bet in a few months or a year "Destiny" will be a bit different than it is now, and quite possibly even better. The only thing I am mostly sure of is that the story will probably still be atrocious in the future; that's a case of needing to not just throw the baby out with the bathwater, but it being a good idea to dump the bath too. Maybe keep Peter Dinklage around if a sequel is made, because even if people have been making fun of his subpar job in the game I thought he did good work with what he had. That's "Destiny" at its core really, doing a good job with what it has, but nothing amazing.